selected tools in producing our end product. 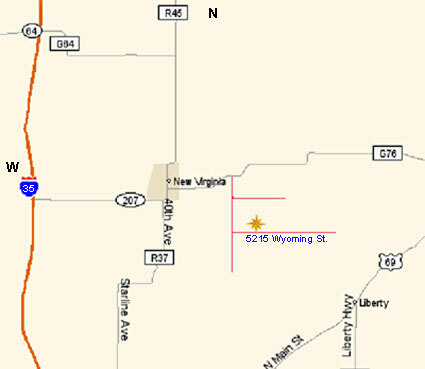 We participate in the Whole Herd Registration program with the AICA. Purchased at the 2014 Iowa Beef Expo from Will Blankers, IL. 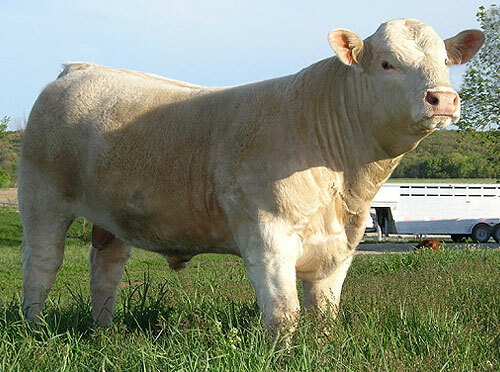 This sire not only displays natural thickness and eye appeal, but also exceptional growth as a yearling – his avg daily gain from Feb. to Aug. 2014 was over 4 pounds per day. Sound on his feet and legs with an excellent disposition – and check out his pedigree! 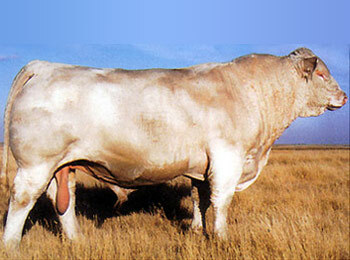 His sire Quiet Riot is making a name for himself in the Charolais breed, producing numerous champions and high sellers. 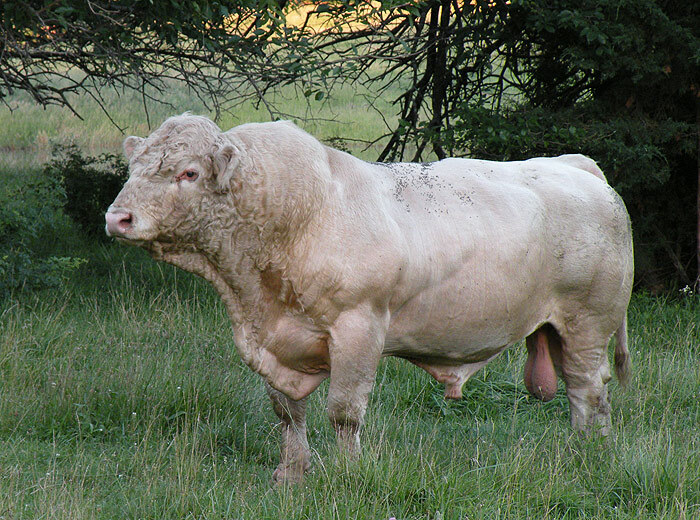 So if you're looking for new genetics, we are very excited about what this young outcross bull brings to the table. Purchased in the 2010 Cardinal Charolais Bull Sale. 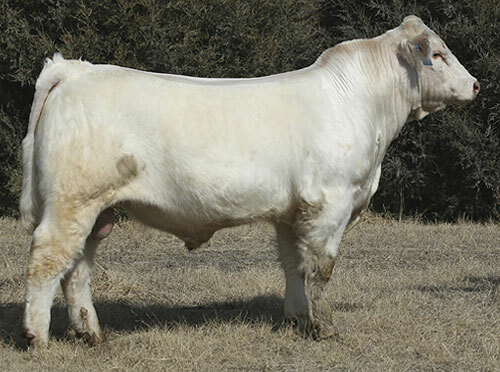 We have come full circle with the purchase of this new sire. Our herd originally began with two Sam sons, and here we are again with SAM, getting back to the performance side of the business. Our goal with this bull is to breed more size into our calves to increase those weaning weights and fill the commercial cattleman's needs. SAM is thick, big boned, and larger framed. We're extremely pleased with this sire. Purchased from Ed Brecht, IA. 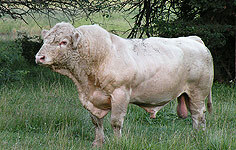 This bull has sired some excellent females for us. 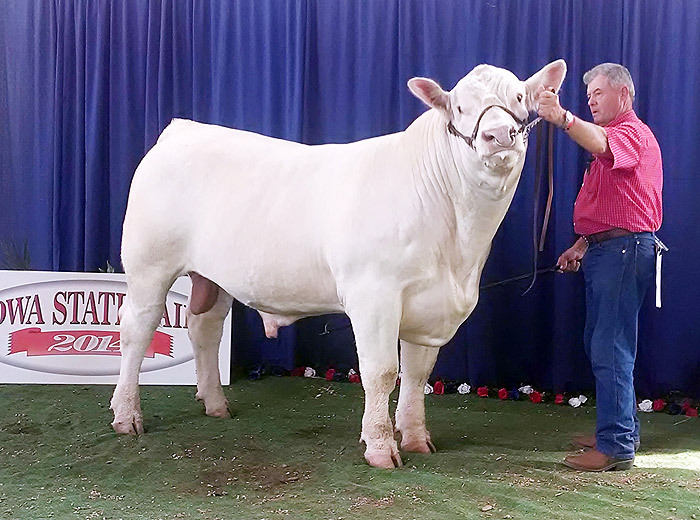 He is a half brother to Rick Frye's Monti Montana bull that he has successfully used to produce very nice replacement females. Solid genetics here – long bodied with bone and muscle. 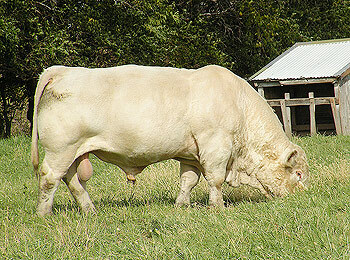 Purchased in the 2006 Cardinal Charolais Bull Sale. 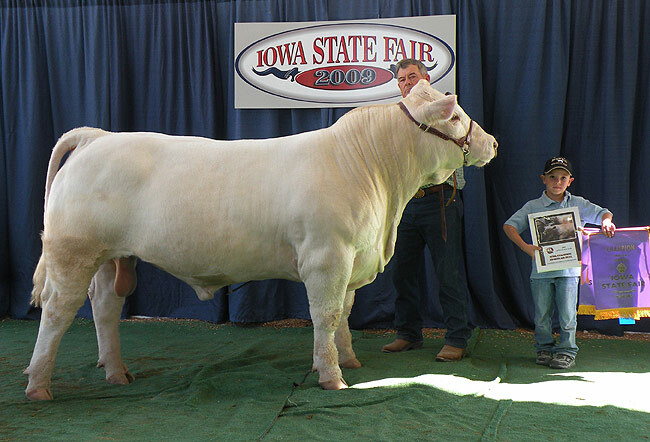 the Grand Champion Female at the 2008 IA State Fair - our very first heifer calf out of him. 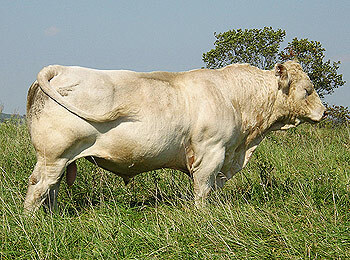 He also sired the top gaining Charolais bull in the 2009 Iowa Cattlemen's Bull Test. Here is another herd sire built to produce show quality cattle. 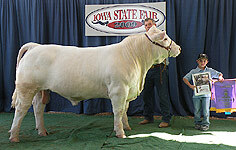 He was named Iowa Champion Charolais Bull at the 2009 Iowa State Fair. THUNDER combines style and natural thickness with a quiet disposition, as well as being excellent on the move! 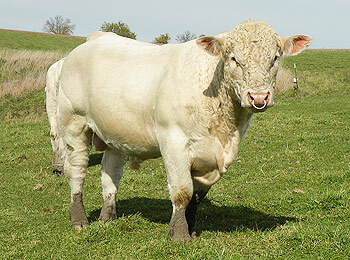 The calving ease sire we used on our heifers. 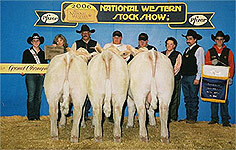 One of our retired herd sires was a son of LT Wyoming Wind 4020. 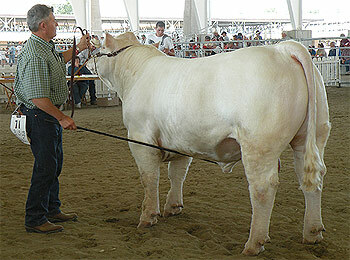 He produced many show quality females which we retained in our herd as excellent foundation dams. 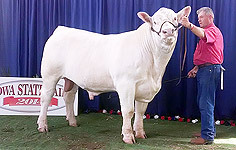 Our WIND bull sired the 2004 Reserve Champion Female in Louisville, and she later went on to be ranked 3rd nationally as Show Female of the Year. These WIND females have wonderful dispositions as well.